Thanksgiving weekend in the US is traditionally a time to indulge in multi-course feasts, spend time with friends and family, and – most importantly – to get a head start on holiday shopping. Data from this year’s Thanksgiving weekend, however, seemed to suggest a flagging interest in shopping, with the first recorded spending decline since 2009. But mobile and online sales offered a silver lining to this dark shopping cloud, as e-commerce sales topped USD $1 billion for the first time this year. What can retailers, in the US and elsewhere, learn from these trends? Continuing a four-year downward trend, the percentage of consumers that said they planned to shop in physical stores on Black Friday was only 13 percent, down from 17 percent in 2012. But this does not mean that shoppers are skipping Black Friday altogether; rather they are just shifting their dollars from brick-and-mortar stores to electronic channels. According to a Nielsen study, shopping online for “Cyber Monday” is on the rise – increasing 16 percent from last year. 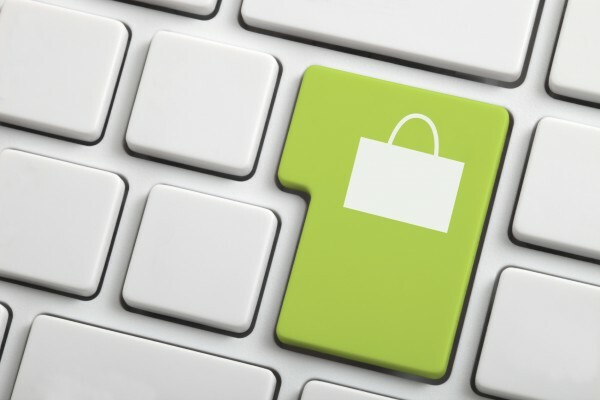 ComScore further predicts that e-commerce will make up USD $42 billion in sales this holiday season in the US. Growth in online holiday shopping has been driven largely by e-retailers such as eBay and Amazon, both of which have already posted huge increases in holiday sales from last year. According to ComScore, the most popular product categories for online sales in the last quarter were digital content & subscriptions, consumer electronics, event tickets, apparel & accessories and computer software. These holiday shopping trends suggest a larger shift in the retail space, where mobile and online shopping channels are fast outpacing brick-and-mortar sales; a trend to which retailers must adapt or risk being left behind. While online retail in general experienced rapid gains during the Thanksgiving weekend, it was the retailers that offered smartphone and tablet shopping option that reaped the most benefits. Mobile traffic during Cyber Monday accounted for 32 percent of visits to retail sites this year, an increase of 45 percent from last year. Deloitte predicts that in-store sales influenced by consumers’ smartphone use will account for about 5.1 percent of total holiday retail store sales, and IBM noted that mobile sales during Thanksgiving weekend increased 28.5 percent since 2011. Growth in mobile shopping this holiday season is not only a trend in the US either. The Deloitte study shows that USD $529 million of sales in the UK this holiday season will be via smartphones, with a further USD $801 million through tablets. These numbers are nearly triple the value of mobile sales from only last year. ****The rapid rise of mobile and online commerce is not a hope for the future, but a reality of today; and retailers need to adapt soon – or be left behind. In developing online and mobile commerce strategies, however, retailers need to remember that e-commerce should not operate in a vacuum. Rather, digital channels should complement offline channels to create a consumer experience that is seamless across all channels and devices. This omnichannel retail strategy will offer more choice for consumers and ensure that they are front and center. While mobile retail payments are still just a drop in the larger ocean of retail payments, this stream is growing more rapidly than other channels. According to ComScore, for example, shopping on tablets and smartphones increased twice as fast as desktop online spending in the third quarter of 2013. Thus, creating a focused mobile strategy (as part of a larger digital retail strategy) will become increasingly vital for long-term success. ****Consumer habits differ from their desktop computer to their tablets to their mobile devices, and thus all of these new digital commerce channels should not be treated equally. Rather, retailers should develop custom strategies for each platform, to ensure that the strengths and weaknesses of each are taken into consideration. For example, consumers tend to browse on their phones and purchase on their tablets. According to IBM, consumers also spend more when shopping on tablets than smartphones – an average of $20 more per order. This will include everything from integrating mobile into the point-of-sale, and adding value for consumers before, during and after the purchase. Retailers can leverage mobile applications to offer loyalty discounts, location-based deals and more seamless transactions, among other features. Beyond enhancing the consumer experience in stores, these value-added apps will help to combat showrooming – both generating more foot traffic in stores, and converting that traffic into sales. Should Coin Be On Your Holiday Wish List?